Gardening is a great habit to own. Researches and studies reveal that gardening helps in reducing many ailments and builds more focus on people. Gardening helps people to come close to nature and by taking care of plants people also become more compassionate, kind, and generous. The heart and brains also improve when people involve themselves in gardening. You can see the plant lovers around you who spend most of their free time in their gardens. Study them and you would see that they are a lot happier and healthier than the rest. On this upcoming New Year, surprise with beautiful New Year gifts for plant lovers in your life. Those who are not into gardening may find interest if you get them these awesome gifts! The plant lovers would be more than thrilled and excited when someone gets them new plant seeds. It means more time in the garden – the most peaceful place! We have introduced organic seeds on our website and you can scroll through the lovely options to surprise your plant lover friends or relatives. The exotic seeds are available in cute cane baskets or in a set of 3 or 5 in glass bottles. 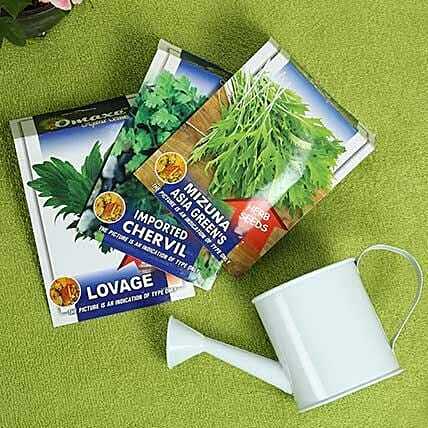 Let the garden become more beautiful with herbs like Lovage, cinnamon, lemon balm, thyme, celery, etc. or flowers like Gazania, Zinnia, Nemesia, or Aster, etc. Planters are another segment of investment. One of the careful New Year gifts for plant lovers would be a cute planter. 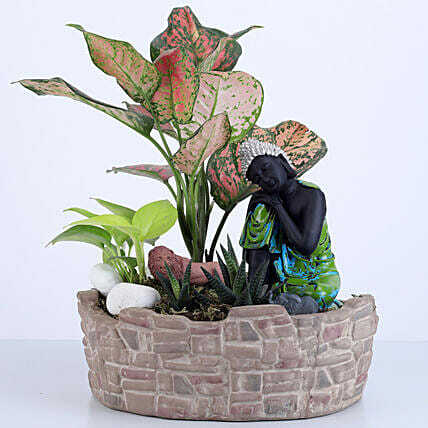 We have many great looking planters that you can order for yourself or for your plant lover friends and relatives. The Upside Down Planter can be used for indoor home décor while the funky frog shaped planter would be best for the outdoor garden. The hanging planters can be hung from the front gate or balcony railings or window grills. 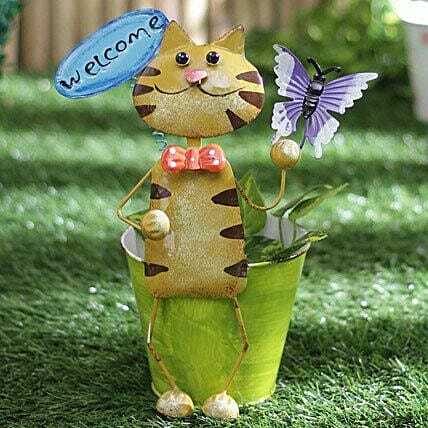 Put the “Elegant cat Welcome Planter” at your entrance door. The Rabbit pot can be used for keeping indoor plants on a coffee table. Have a nice look at all our amazing options and plan to surprise your loved ones on New Year. The appeal and effect of a personalized gift are always thrilling. Send thrills to your plant lover friend with a personalized pot for plants. All you have to do send a nice High Definition picture and we would get that printed on the ceramic pot. 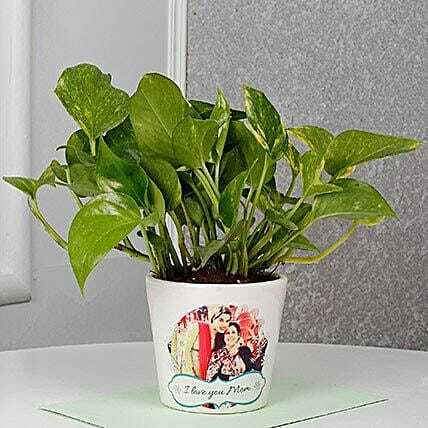 The plants would grow and the picture with a message on the pot would always flash and remind your friend of your love and care. Pebbles play a significant role in gardens. These pebbles are important to prevent the excess water and seeping of soil from the pot. One can use these pebbles to cover the top layer of the soil or to add some fun to the whole look and appearance of the plant. 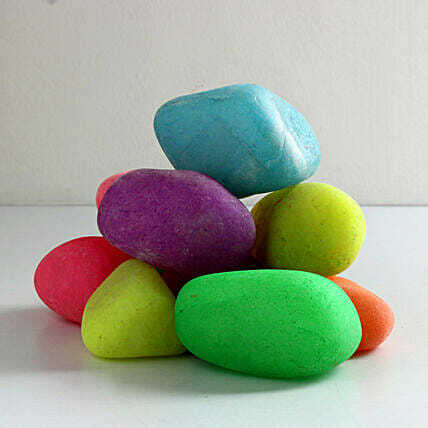 Pebbles would also be helpful as vase fillers or for the decoration of terrariums and dish gardens. White, grey, black, or multicolor pebbles are available which would definitely add much color to the garden! Plants with similar water, air, and sunshine requirement are placed in a large dish and they are known as dish gardens. To beautify these dish gardens, our product stylists have used small figurines and pebbles too. Rather than planting 3-4 plants individually, it is always a better idea to grow them together. That would save a lot of time that is invested in taking care of plants.